Golden Jubilee is our senior adult ministry. 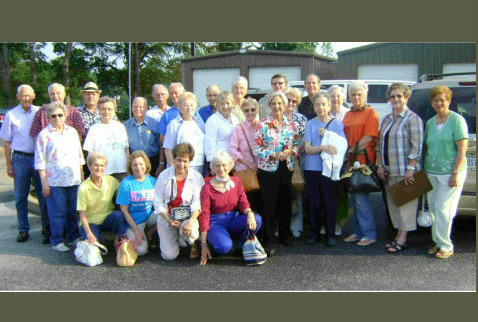 They are one of the most active groups at FirstJax. This ministry meets weekly for fellowship, Bible study, special guest speakers, and outings. They also minister to nursing homes and shut-ins. One of the highlights of our annual church calendar is the Golden Jubilee sponsored East Texas Senior Adult Conference which draws hundreds of senior adults from accross the state for a day of exceptional fellowship, entertainment, and worship, featuring outstanding speakers and musicians. FIRSTJAX IS . . .